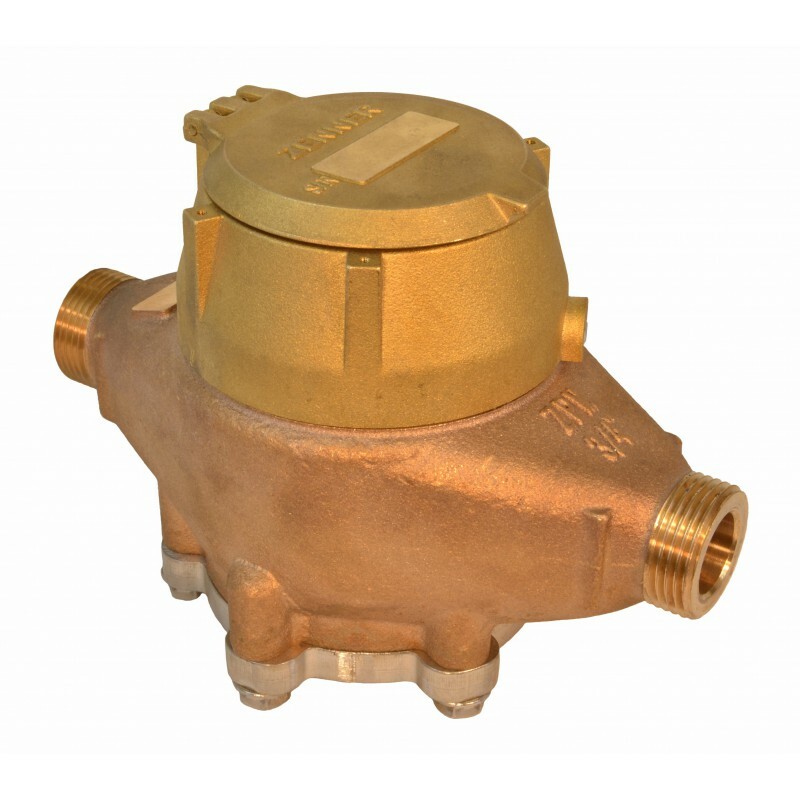 ZENNER High Pressure Water Meters utilize amagnetically driven multi-jet design. They are designed to meas-ure cold potable water where flow is in one direction only in resi-dential, commercial, and industrial settings. earth magnets eliminate slipping and uncoupling to increase overall accuracy. The magnet is connected to a gear train which translates the impeller’s rotation into volume totalization which is displayed on the register dial face. (6) bolt configuration to withstand working pressures of 300 psi and 600 psi intermittent. 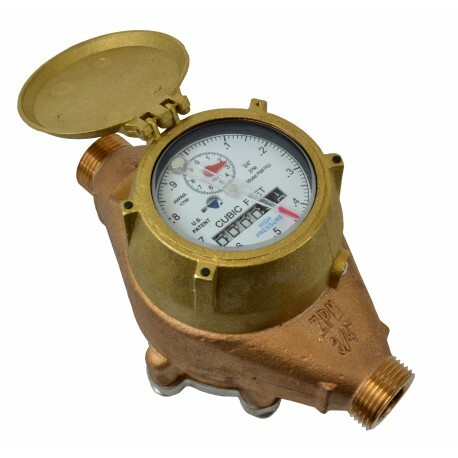 MAINTENANCE: ZENNER High Pressure Water Meters are engineered and manufactured to provide long-termservice and operate virtually maintenance free. The precise simple design allows for interchangeable parts, reducing parts inventory. REGISTRATION: ZENNER High Pressure Water Meters utilize a magnetically driven, hermetically sealed de-sign. The sealed design eliminates dirt and moisture infiltration as well as prevents fogging. The register in-cludes a large odometer-type totalization display, center sweep hand (360°) test circle, and low flow leak detection. All ZENNER PERFORMANCE meters have electronic output capabilities for easy conversion to Automated Meter Reading. 3/4” and 1” capacities are: 10,000,000 Gallons, 1,000,000 Cubic Feet, 100,000 Cubic Meters, 6 odometer wheels. 1 1/2” and 2” registration capacities are: 100,000,000 Gallons, 10,000,000 Cubic Feet, 1,000,000 Cubic Meters, 6 odometer wheels. CONFORMANCE: ZENNER High Pressure Water Meters are tested and comply with AWWA C708, ISO 4064,and G13IT19001-ISO9000 performance standards. These Meters comply with the lead-free provisions of the Safe Drinking Water Act and are certified to NSF/ANSI Standard 372. TAMPERPROOF FEATURES: Customer removal of the register to obtain free water is prevented through theuse of a locking device that requires a special tool, only available to water utilities.